Situated in Brittany’s Morbihan region, Le Ty-Lann is 5 minutes from Vannes and 15 minutes from the coast. It offers an outdoor pool and bright and airy rooms with flat-screen TVs. 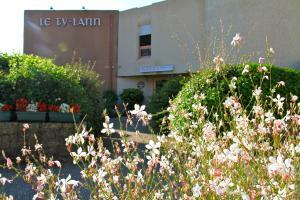 Rooms at the Le Ty-Lann are equipped with free Wi-Fi and a private bathroom. The Ty-Lann’s restaurant serves regional cuisine and seafood specialities, and there is also a private bar. Guests can enjoy a buffet breakfast in the dining room, or a continental breakfast in the privacy of the guest rooms. 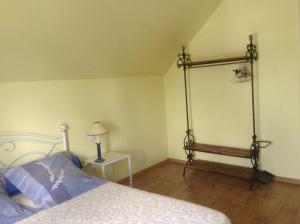 Le Ty-Lann is a 7-minute drive from the Gare de Vannes SNCF Train Station. From Vannes, guests can visit its old quarter with its beautiful medieval houses, the cathedral and Vannes’s museums. At the Parc du Golfe, guests can board the boats to discover the numerous islands of the Gulf du Morbihan such like l'Ile aux Moines and l'Ile d'Arz. Le Guilloux is 4 km from the centre Saint-Avé and an 8-minute drive from Vanves. Offering B&B accommodation, this property has a garden and free WiFi access in public areas. The heated room features a wardrobe, wooden floors and bed linen. A shower is at guests’ disposal. Guests are invited to enjoy a daily breakfast at Le Guilloux. They have access to a shared kitchen with a fridge, a microwave and a stove. An oven and kitchenware are also provided. This property is a 14-minute drive from the Morbihan Gulf and a 20-minute drive from the centre of Auray. Free private parking is available on site.